If you have been looking for one of the best SUVs out there then you have arrived at the right place. 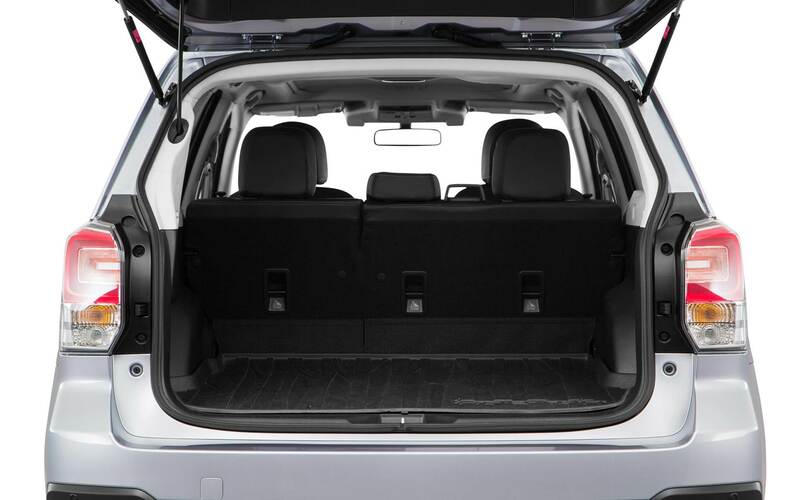 People really like this SUV, the 2017 Subaru Forester, because of its space for up to five people. It is also very reliable, fuel-efficient and comes with all-wheel drive. The Forester has been known to handle even the tough driving conditions well. The interior has been further refined for the 2017 model year. For 2017 the SUV's EyeSight driver-assist system comes with very accurate color cameras. Turbocharged Forester models now come with a torque-vectoring all-wheel-drive system. Keep reading to learn more about how the 2017 Subaru Forester could be the perfect vehicle for you! Two different engines, which are both four-cylinder "boxer" units, are available to purchase the 2017 Subaru Forester with. The first "boxer" engine is a 2.5-liter that produces 174 ft-lb of torque @ 4,100 rpm and 170 horsepower @ 5,800 rpm. This engine can get you up to 29 miles per gallon highway and 22 miles per gallon city with its manual transmission. With the automatic transmission it will get you up to 32 miles per gallon highway and 26 miles per gallon city. The second available "boxer" engine is a 2.0-liter turbocharged unit. It creates 258 lb-ft of torque @ 2,000-4,800 rpm and 250 horsepower @ 5,600 rpm. For fuel economy it will provide up to 27 miles per gallon highway and 23 miles per gallon city. 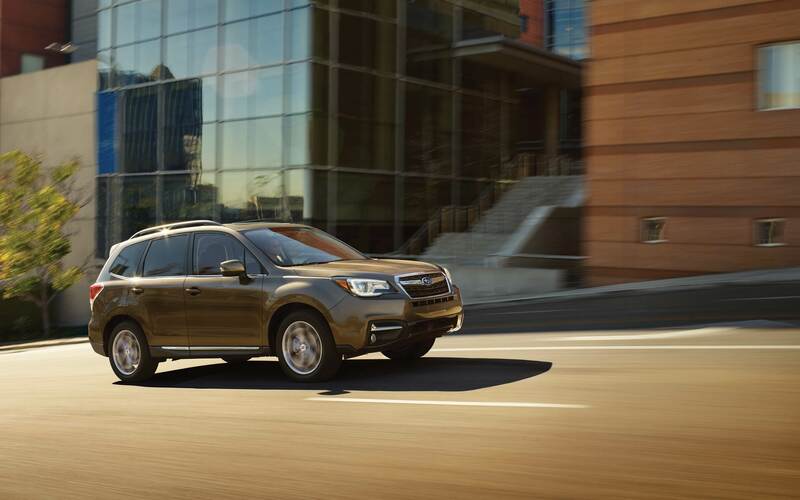 Getting the Subaru Forester with the 2.5-liter engine will allow you to put regular, 87-octane gasoline into the tank. If you get the turbocharged Forester then it is recommended that you put 93-octane gasoline into its fuel tank. 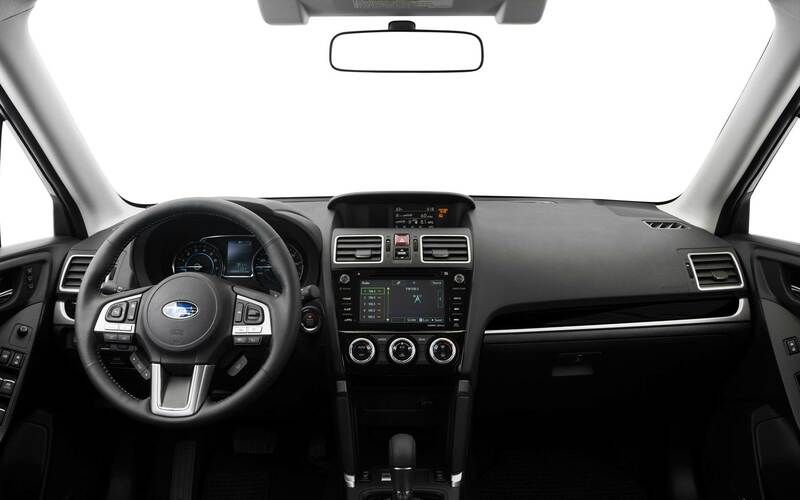 The 2017 Subaru Forester comes with a color multifunction display, variable wipers, a 6.3-inch Starlink touchscreen audio system, Bluetooth, a multi-function steering wheel, air conditioning, and power door locks and windows. The Premium trim comes with alloy wheels and a panoramic sunroof. It can be had with a power liftgate if so desired. Limited models come with a power liftgate, automatic climate control and leather upholstery. If you purchase the vehicle in its Limited trim or above then you can get the vehicle's available navigation system. Touring models come with dual-zone climate control, an audio upgrade, a heated steering wheel and keyless ignition. Turbocharged XT models of the 2017 Forester come in Premium and Touring models. The Forester comes with sleek headlights with Subaru's C-shaped LED motif. The Subaru Forester has an 8.7-inch ground clearance which will make it one of the best vehicles out there to drive in snow. Does the Forester take regular gas? All models but the turbocharged ones work well with regular, 87-octane gas. The turbocharged works best with 93-octane. Can I get the Forester with keyless ignition? Yes, you can do that. Keyless ignition is available with the Touring model. Getting the 2017 Subaru Forester will provide you with front and rear head airbags, dual front side-mounted airbags, four-wheel anti-lock disc brakes, rear height-adjustable headrests, daytime running lights, child seat anchors, emergency braking assist, a rear center three-point belt, traction and stability controls, tire pressure monitoring and a remote anti-theft alarm system. Come down to Reedman-Toll Subaru at your earliest convenience to learn more about how the 2017 Subaru Forester could be for you. We look forward to assisting you with your vehicle search!